Get more power and flight time out of your 250 sized FPV racing drone. 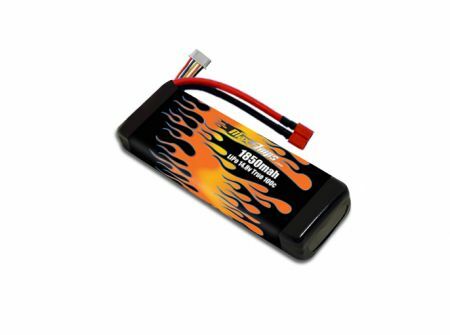 This 4S 14.8v battery holds higher voltage under load and gives you the longest flight time of any 1850mah battery we have tested for 250 sized FPV racing. Best battery I have used to date. Great power and weighs only 8 grams more than my Lumenier 1300 4S 60C.